Objective: Sankalp Se-Siddhi is a great movement initiated by Government of India for waking of New India through doubling the farmer’s income by 2022 through 7 point activities. An oath taking Ceremony was organized by KVK, Thrissur as an initiation of this program at district level. The function was preceded by Smt. Shobhana Rajan (president, Pazhayanoor Grama Pnchayat). The ceremony was inaugurated by Dr. P.K. Biju (Alathoor MP). Message of Prime minister in local language was delivered by Sri. Padma Kumar and he led the Oath taking. Assistant Collector, Thrissur Dr. Vinay Goyal IAS inaugurated On farm trial, Front line demonstration activities of KVK for the year 2017-2018. The state Karshakothama award was honoured in the function key note address was delivered by Dr. Jiju P Alex (Director of Extension, KAU). Water Conservation activities and Actio apportum for the farmers can be followed and investment in agricultural sector should be increased to ensure property to farmers and KAU will facilitate farmers in this regard with farmer’s friendly technologies developed at various research stations. Chief Guest's Remarks:Chief Guest mentioned that farmers to get a good income and better living status through sankalp se sidhi by 2022. Post Event Details:Welcome speech was done by, KVK Programme Co-ordinator Dr. A. Prema and Dr. Giggin, Assistant Professor KVK delivered vote of thanks. 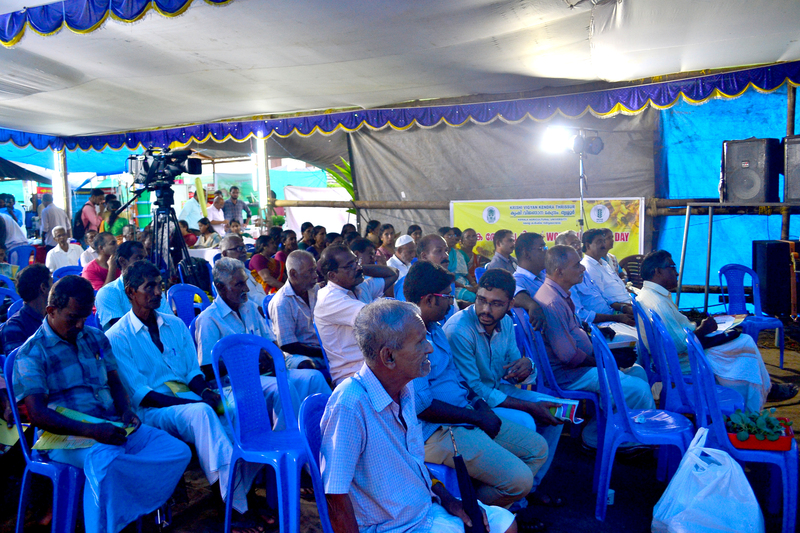 Training classes on precision farming was also organized as a part of this function. 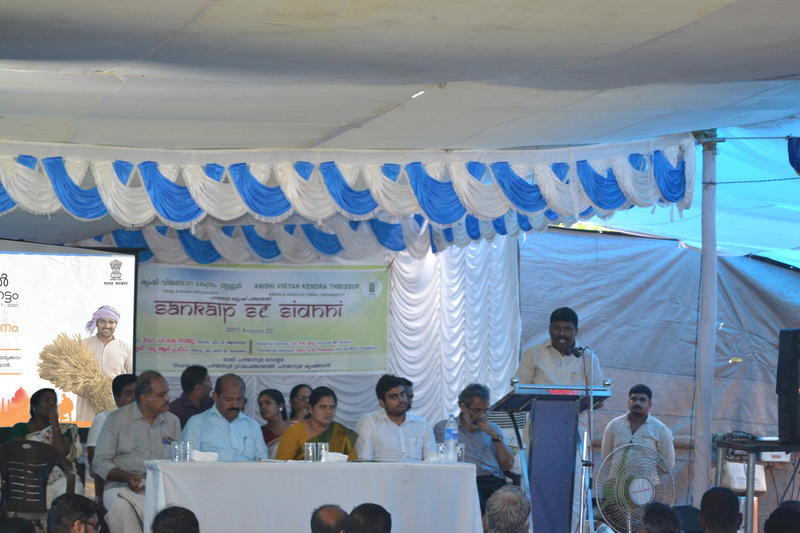 Image: "Sankalp se sidhhi" programme inauguration by Dr. P.K. Biju (Alathoor MP).